Formed from copper. Long and lightweight. Each piece was created by sifting vitreous enamel - powdered glass with pigment - onto copper and fired multiple times, each time with an additional layer of enamel. 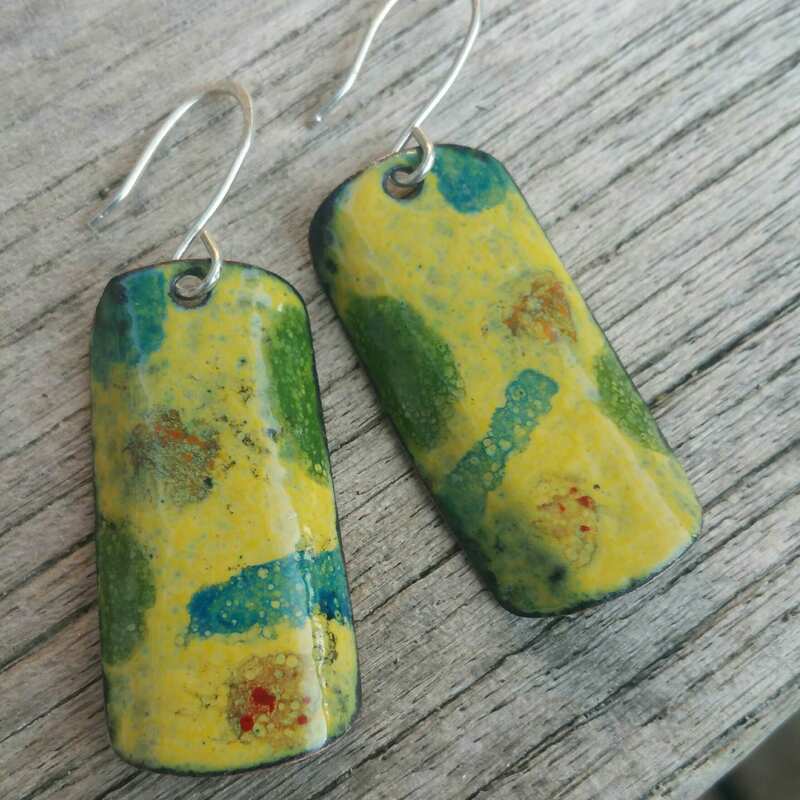 They are then hand painted with enamel and fired multiple times. Hand crafted sterling silver ear wires. Lightweight.